The Conservancy welcomes all F&M community members and all others to explore Millport! Volunteer opportunities at Millport include: An annual cleanup in March; periodic water quality testing; nature trail maintenance; scout projects; tree nursery maintenance; trout stocking and feeding; and tree planting and stream restoration. 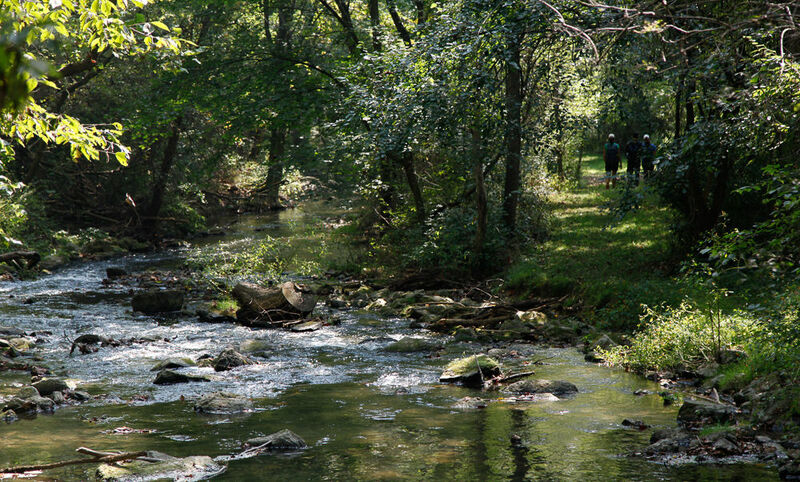 Students from the Warwick, Manheim Township, Conestoga Valley and Lancaster school districts, as well as from the Lancaster-Lebanon Intermediate Unit 13, visit Millport for stream and terrestrial studies. The site also hosts preschools, retirement communities, and civic and religious groups. Millport serves as a site for water-quality research, as well as other environmental studies and archaeological fieldwork, by students and professors at Franklin & Marshall College. Each spring, approximately 400 F&M students visit Millport as part of their biology laboratory work. Classes from Elizabethtown College and Lebanon Valley College also are held at Millport. Millport has been the site of secondary science teacher training. The Conservancy is an ideal location for observing and photographing birds, fox, deer, frogs, turtles, herons, red-tailed hawks, wildflowers and many species of trees and plants. Millport and neighboring farms host the Lancaster County County Career & Technology Foundation’s annual “Fly on the Run” fishing tournament in May. The Donegal Chapter of Trout Unlimited maintains a tree nursery at Millport. The trees are used in streambank planting projects. The organization also holds its monthly board meetings and an annual picnic at Millport. F&M's Putting it Together in the Community program annually sends 12 students to Millport for a week of service projects. Scouting troops have created and maintained new trails, a campsite and directional signage. Millport hosts community and cultural events, concerts, art exhibits, seminars and retreats. The Conservancy created a community partnership to preserve the Star Barn structure and to locate all the outer buildings on the current premise.